It hasn’t been many days since I last complained about eBay. This time, it’s their Global Shipping Program (GSP) that has annoyed me. For those who aren’t familiar, the GSP is a service provided by eBay where if you sell items to international buyers, you can send the item to eBay’s shipping centre in the UK using standard domestic postage and they will forward it on to the buyer. They handle all international postage and customs fees and paperwork. The benefit to the seller is obviously less hassle, but also the seller is not responsible for loss or damage of the item after it has been received by the UK shipping centre. The scheme is not popular with buyers because it is the they that foot the bill for these extra charges. On the whole, it sounds good, but it doesn’t always work out that way. 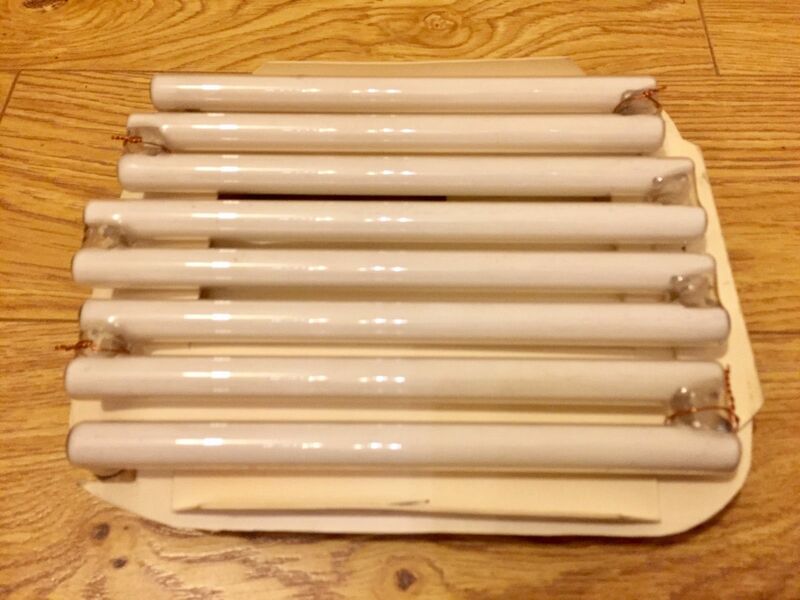 Last week a buyer in Italy bought a fragile piece of darkroom equipment from me (it was a cold-cathode lamp for a photographic enlarger made in 1952). The item was sold through the GSP, the buyer paid and so I prepared the item. Knowing it was a fragile glass tube, I wrapped it in many layers of bubblewrap, put it in a box and then put that box in a larger outer box. I sent it to the UK shipping centre via Royal Mail First Class Recorded. Royal Mail tracking shows the parcel made it there safely and GSP also confirmed safe receipt of the item. In theory, from this point onwards, my responsibility has ended. However, several days later the buyer contacted me to say the tube was broken when it arrived. He sent me a picture of the broken lamp and of the box it arrived in – which is not the box I sent it in. It appears that shipping centre have re-packed this item, removing the bubblewrap and replacing a single layer of bubblewrap and a different box. This was clearly inadequate and unacceptable. Reading around online, it seems that it is fairly common for GSP to re-pack items during transit, although nobody is quite sure whether this is for customs inspections or simply to save money on international postage. The buyer opened a return request with eBay to ask for a refund. Despite eBay’s promises that sellers are protected from damage in transit, eBay froze the funds in my PayPal account and contacted me (by email) to say I should refund the buyer. The only options available to me on their website were “refund the buyer” and “contact the buyer”. There was no mention of the GSP or any seller protection. I read some forums where people had had similar experiences and it seems that the buyer has to raise the right type of return request. They have to choose “damaged in transit” whereas my buyer had chosen “faulty item”. I couldn’t find any way to change the request or refer it to eBay. I messaged the buyer, explained the system and asked him to close this request and open a new one with “damaged in transit” as the reason. He went silent and didn’t reply. Meanwhile, eBay sent two reminders for me to give a refund. While the amount in question was not large (£15) it’s a matter of principle, and I was sure if I refunded the buyer out of my own pocket that I’d never get reimbursed by eBay. I scoured eBay’s website looking for some way of escalating this to support, but all I found was a well-hidden phone number. Typical, for a 100% online company to not offer online support when it benefits them. In fairness, after just five minutes on the phone to customer support they had refunded the buyer out of their own pocket and released the funds in my PayPal account (which will take 24 hours, for some reason). But I am still cross that despite their promises to protect sellers who use the GSP scheme, they don’t actually honour it unless you ignore everything you see on the website and phone up. If they want to the GSP to be a success, it needs to be more integrated into the system so that it is not possible for buyers to contact the seller about shipping problems when it is clearly the fault of the GSP – or at least very easy for sellers to refer these cases to eBay with one click. They definitely should not be sending nag emails to sellers to pressure them into doing the wrong thing and refunding when they are not liable. The seller protection also extends to have negative feedback caused by GSP removed from your profile retrospectively. I suspect this will mean another phonecall if the buyer is still unhappy that he received a broken item with inadequate packing, and has no idea that it was GSP’s fault.